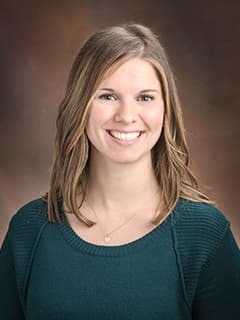 Trish Lieberman, MS, RD, LDN, is a diabetes educator and registered dietitian with the Diabetes Center for Children at Children's Hospital of Philadelphia. Lieberman, T. On the Cutting Edge: Eating Disorders and Diabetes. Vol 38, 4. 2017. Lieberman, T. Perspectives: A Professional Journal of the The Renfrew Center Foundation. Fostering Sacred Moments in Nutrition Therapy. Summer 2016. Carney, T.A; Stein, S.E. ; Quinlan, J.J. Nurses May Benefit from Additional Training Regarding Nutritional Management of Diabetes. British Journal of Nursing 2012:126:2.